When you want to provide for a family member with special needs, you must be cognizant of government benefit eligibility rules. Many people with disabilities rely on Medicaid, which is a government health insurance program. Individuals with special needs may also receive income through the Supplemental Security Income program. These are need-based programs. If you were to name someone who is relying on these benefits in your last will, he or she would receive a direct inheritance. This could impact government benefit eligibility, because the financial status of the inheritance recipient would improve. It is possible to set aside resources for the benefit of a person with special needs through the creation of a supplemental needs trust. When you create the trust, you name a trustee. The trustee may utilize resources that have been conveyed into the trust to improve the quality of life of the beneficiary. As long as the expenditures fall within certain categories, the existence of the trust does not jeopardize government benefit eligibility. We are offering an in-depth special report on special needs planning as it applies to minor children. If you would like to download the report, which is available to our visitors free of charge, click the following link: Special Needs Planning Report. There is no one-size-fits-all estate plan. A well constructed estate plan will be custom crafted to suit the needs of each member of your family. 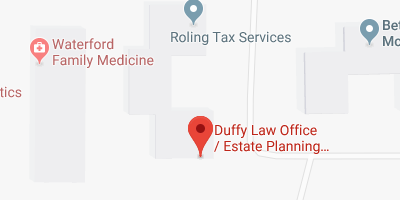 Please feel free to contact us if you would like to discuss Davenport Iowa special needs planning with a licensed estate planning attorney. We will gain an understanding of your objectives, answer your questions, and make the appropriate recommendations. You can send us a message through this website or call us directly at (563) 445-7400.